Just two weeks prior to his graduation in May this year, Yifan Yao received a wonderful gift. He was presented with the Alfred W. Allen Award, in recognition of his academic excellence. Scholarships and other student awards are typically highly competitive—those who receive an award have demonstrated that they stand out among their peers. A merit scholarship can also help to confirm that a student will be a great addition to the graduate school of their choice, and this is certainly true for Yao. He will soon begin working on Ph.D. studies in the Materials Department at UC Santa Barbara. Here at Illinois, Yao earned a B.S. in material science and engineering, with a minor in electrical engineering. Professor Can Bayram was his advisor and he was part of Bayram’s research group. The Alfred W. Allen Award was established in memory of Alfred Allen, who served as a member of the Ceramic Engineering faculty from 1946 to 1973. He was a dedicated professor who brought a very special excellence to the teaching of refractories, ceramic microscopy, pyrometry, and nuclear ceramics at the University of Illinois. The Allen Award recognizes superior academic achievement and is presented to students based on grade point average for the preceding two semesters at the university. 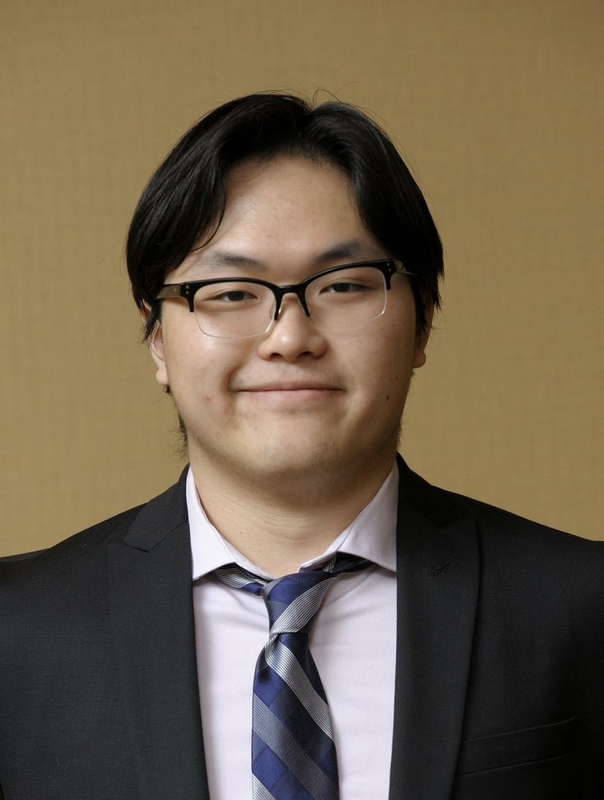 We connected with Yao this summer to talk with him about why he chose Illinois for his undergraduate work, his thoughts on receiving the Allen Award, and what his career plans include next. Yifan Yao graduated in May 2018 with a B.S. in material science and engineering, and a minor in electrical engineering. What made you decide to come to the University of Illinois College of Engineering for your studies? The College of Engineering at Illinois was my first choice when I was applying to college. I have always been obsessed with getting to know the physics behind how everything works and then applying what I learned to real-life applications. The U of I was very resourceful in both areas with its strong engineering programs and abundant opportunities for undergraduate students to get involved in research activities. Tell us a little bit about your research focus, and why you are drawn to this area of research. I have worked with Dr. Bayram on controlled spalling technology, a technique that can release a layer of thin film of controllable thickness from the substrate. My attraction to this area of research started when Dr. Bayram offered me a position in his group, where I learned that the usage of gallium nitride electronics can be limited by its prohibitive cost. I realized that such a technique can enable the substrate to be re-usable and drive down the cost substantially. I have always seen this as an opportunity to make use of my knowledge and work on something that potentially will have a huge impact in the future. Share a little about your experience with the Innovative Compound Semiconductor Laboratory, led by Professor Can Bayram. Working in Dr. Bayram’s group was certainly one of the most important experiences in my college years and Dr. Bayram was a great mentor. He was keen on giving his students a lot of independence before he would provide any guidance, which is also one of the reasons I decided to join his group. It’s the best way to learn. Students in his group are also very accessible to various opportunities. Thanks to Dr. Bayram, I have had the opportunities to conduct research at the Technical University of Munich for two months and presented my research findings at the Gulf Coast Research Symposium last November. When did you receive the Alfred W. Allen Award? What were your thoughts when you learned that you had receive this Award? I received the Alfred W. Allen Award from the Materials Science and Engineering Department just two weeks before my graduation date! It is an award that recognizes those that have exceptional scholastic achievements based on cumulative GPA. I was not too surprised upon receiving the award since I have been working hard to get straight A’s consecutively. It is such a huge honor to receive this kind of recognition, which I think is a perfect way to complete my undergraduate studies. You also received the SPIE Optics and Photonics Education Scholarship earlier this year, another great accomplishment. What were your thoughts on hearing this, and how will this Scholarship award help you move forward in your career? First, it is Dr. Bayram who helped me throughout the application process, so I am very grateful for his support. I was very honored upon hearing the news and excited knowing that my studies can be helpful for the future development of optics and photonics. This scholarship will be handy to support my education, especially since I will start to pursue my Ph.D. degree next fall. I would love to perform innovative research on semiconductor materials, to drive solutions to the biggest issues facing us nowadays, whether in academia or industry. A lot of issues, such as having more energy-efficient light sources, or faster networks, and more advanced therapeutic devices, can be related to photonics and optics research, which is what I am planning to work on for my Ph.D. studies.